The file can contain two streams, one for matrix-type data and one for stimulations. This output can carry Signal, Streamed Matrix, Covariance, Spectrum and Feature Vector data. This output will contain stimulations read from the file. Path of the CSV file to read. 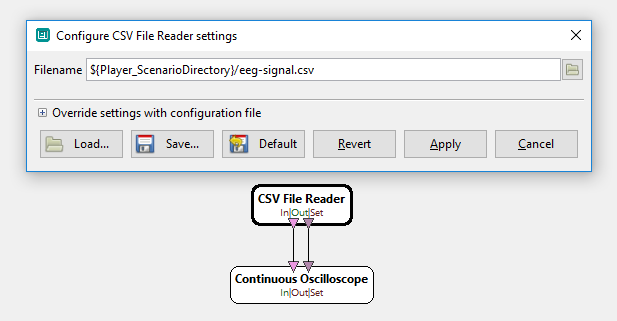 Example of a scenario using the CSV Reader box to read a signal file and display it using an Oscilloscope.